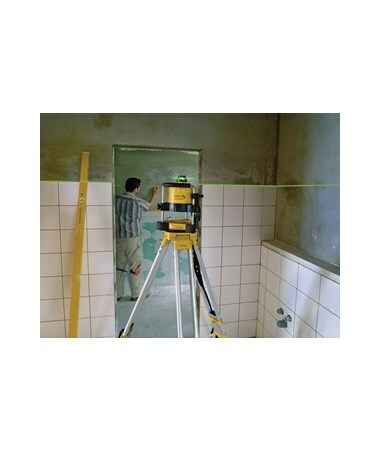 Fully automatic and reliable, the Stabila LAR120 Green Beam Self-Leveling Interior Rotary Laser is great for layout works, wall partitions, height transfers, marking points transfers and other general indoor construction works. 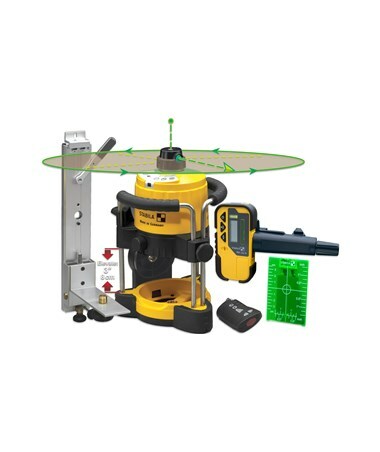 It has a range of up to 132 feet indoors and up to 980 feet range with a laser receiver. 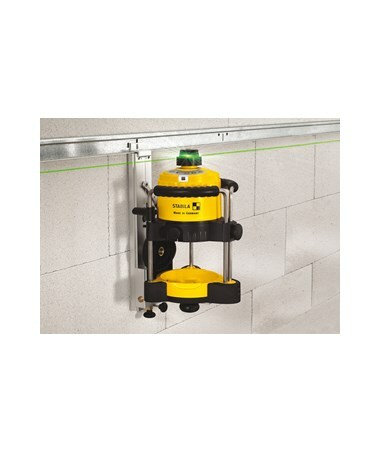 This rotary laser features an accuracy of ±1/8 feet at 100 feet and is self-leveling within ±5 degrees. 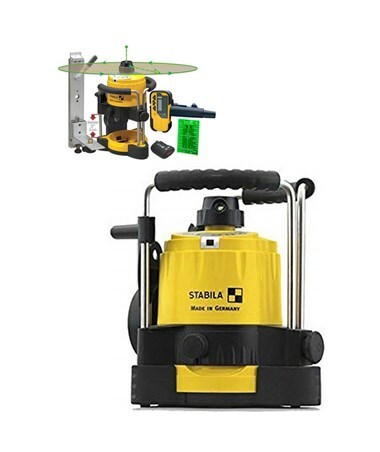 The Stabila LAR120 comes with five rotation speeds of 0, 150, 300, 450, 600 rotations per minute. 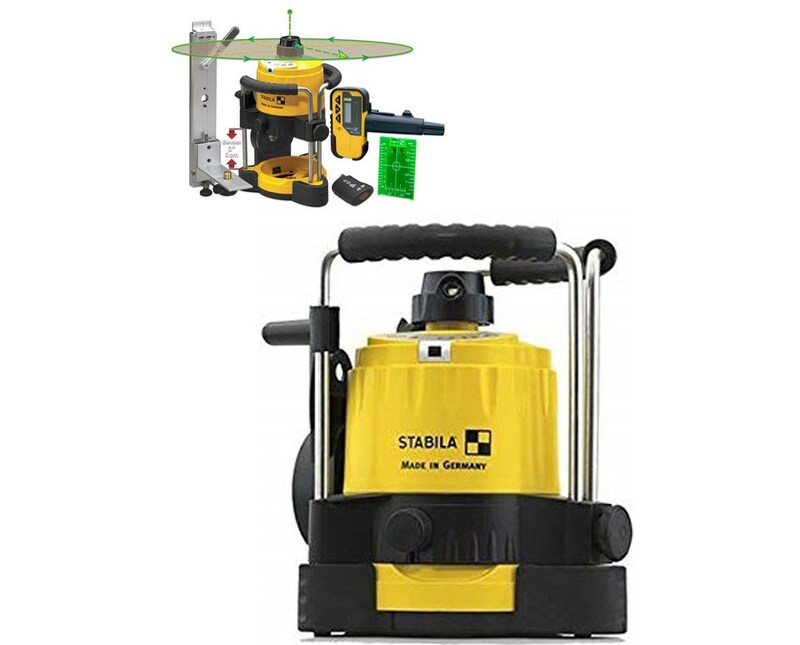 Also, it has several measuring functions including horizontal/vertical leveling, 90-degree, plumb slope dual-axis and manual mode. It includes an integrated height adjustment up to three inches that enables the operator to work comfortably at the reference plane. Plus, it uses a Class 3R 532-nanometer green laser diode for higher visibility laser. With a robust hoop guard and rubber sleeves, the LAR120 can withstand harsh job sites. 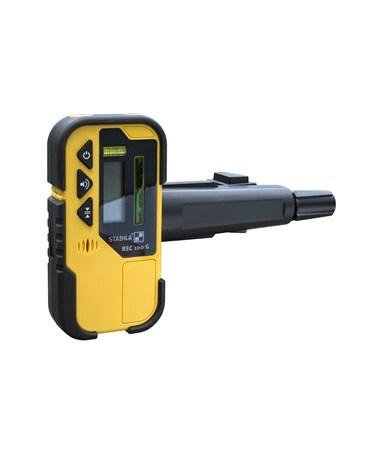 It adheres to the IP53 environmental rating which makes this rotating laser dustproof and water resistant. With alkaline batteries, it can run up to 120 hours of battery life which is useful even for whole day use. In addition, it comes with a 5/8-11 tripod thread for easy mounting.